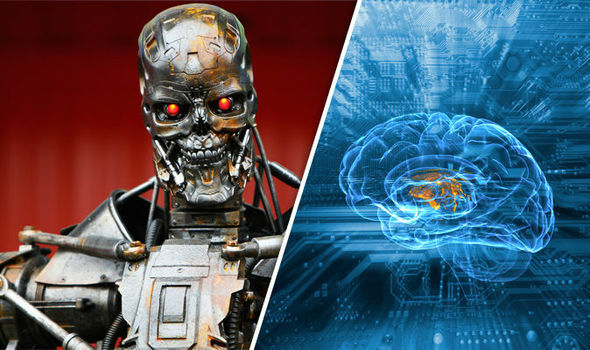 ARTIFICIAL intelligence will be “weaponised” and take part in an “inevitable battle” in 2018, a defence expert has warned. Dr Adrian Nish, the head of threat intelligence at BAE Systems, warned that the developing technology will take the world into the “next stage in defenders versus attackers”. He said: “The year 2018 could be when we see the first battle of the AI bots. “It’s inevitable that attackers will begin to incorporate machine learning and AI at the same rate as network defence tools. “We may already be at this point, with online Twitter bots able to react to emerging events and crafting messages to respond. “These phishing messages will be so realistic that the target will fall for them. Dave Palmer, the director of technology at Darktrace, a security business, claimed that phishing tactics used online could evolve and gain capabilities to deceive the savviest online user. He warned of harmful software that possesses the ability to identify how a user’s writing style changes depending on the person they are engaging with.This could be used to send contextual messages in different languages to a user’s contacts in an effort to spread malware. Other experts have shockingly claimed that future advances could lead to hackers sabotaging user data rather than attempting to steal it. Customer service company, Servion, demonstrated the size and scale of AI growth in the next two years alone. It predicts that by 2020, 95 per cent of all customer service interactions will involve a form of AI.